Mark your calendars! 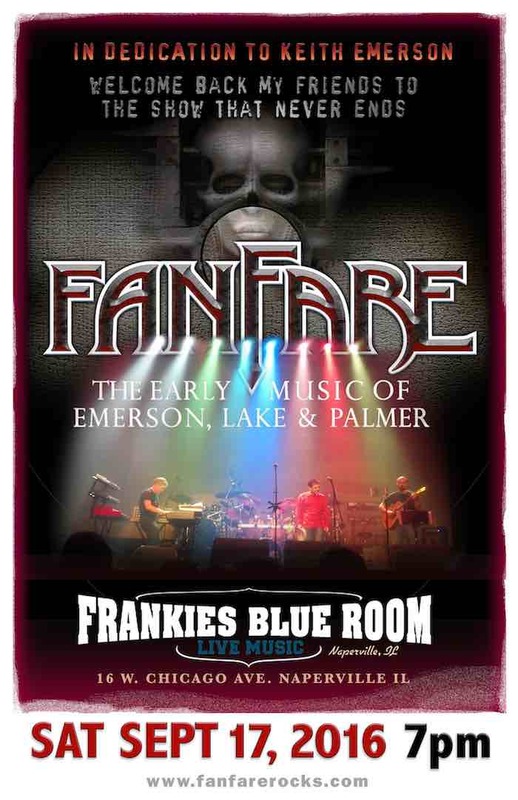 Sept. 17 at Frankie’s Blue Room in Naperville, Illinois – a full night of the music of Emerson, Lake and Palmer live. 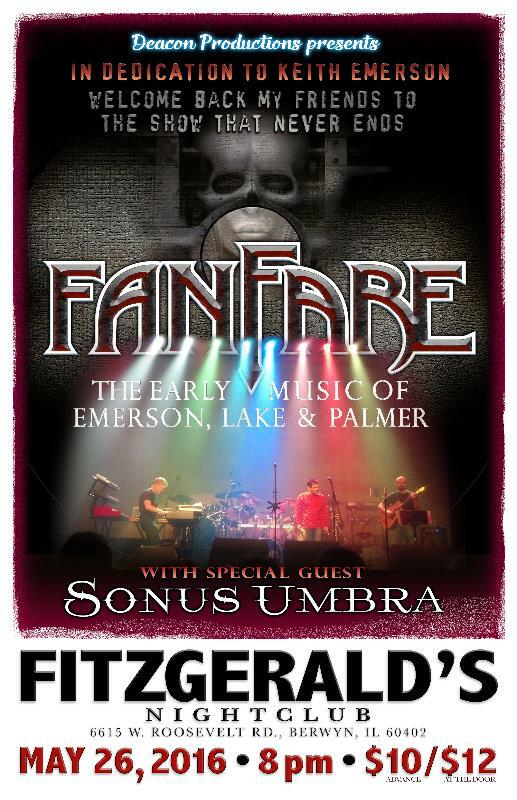 Fanfare presents the music of Emerson, Lake and Palmer – a special tribute to the late, GREAT Keith Emerson. We will be playing a show on Thursday, May 26 at the legendary Fitzgerald’s Nightclub in Berwyn, Illinois (just outside of Chicago). Opening the evening will be Chicago proggers Sonus Umbra, who recently released their highly regarded album Beyond The Panopticon. 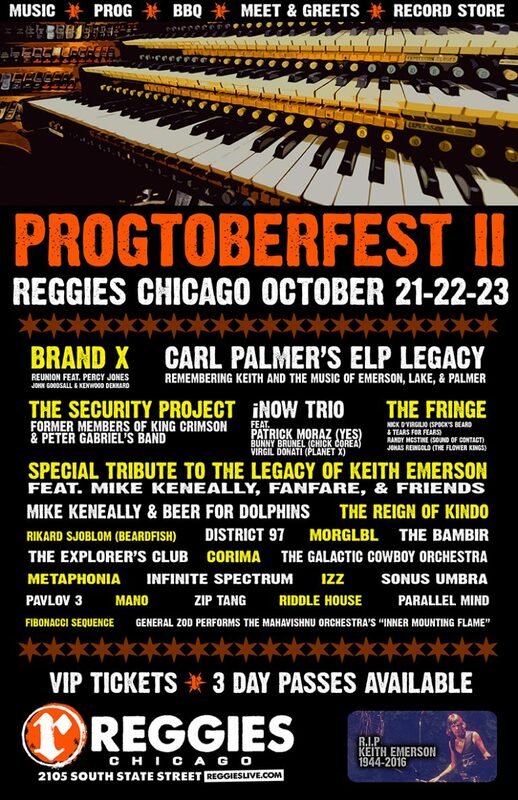 This will be a very special evening, honoring the memory of the wonderful music of ELP and the INCREDIBLE playing of the late, great Keith Emerson. We are THRILLED to be able to do this show for the Godfather of Progressive Rock. If you’re an ELP or progressive rock fan, this is a CAN’T MISS kind of affair! 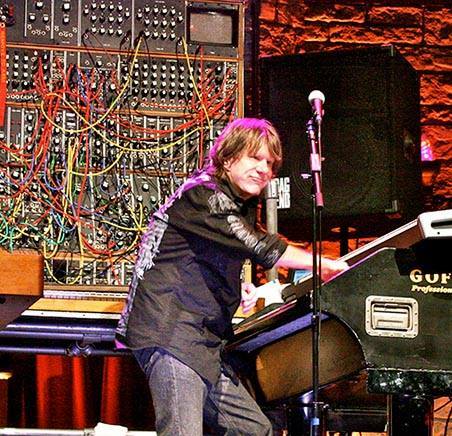 The members of Fanfare were shocked and saddened by the tragic passing of Keith Emerson on March 11th. He was true pioneer in music who tore down boundaries between rock, classical, jazz and electronic music to help craft a new musical landscape that became known as progressive rock. An incredible songwriter, gifted musician and an awe inspiring performer. One of a kind, and a long time musical hero of ours. We love playing his music because it is so challenging and so rewarding. He will be missed. RIP. More footage of Fanfare tearing it up at the RoSfest 2015 after-party. A big “thank you” goes out to the folks who shot these videos and uploaded them for all to see. It was quite a night, and we’re glad to have some momentos to remember it by. By all means, keep ’em coming! Fanfare to Play RoSfest 2015! Fanfare has been invited to play the legendary Rites of Spring Festival which takes place May 1-3 in historic Gettysburg, Pennsylvania. This year’s lineup is one of the best yet, anchored by headliners Spock’s Beard, HAKEN and Enchant. Fanfare will be playing the after party on May 1. UPDATE: the show has been canceled. We are working in scheduling another show later this year.